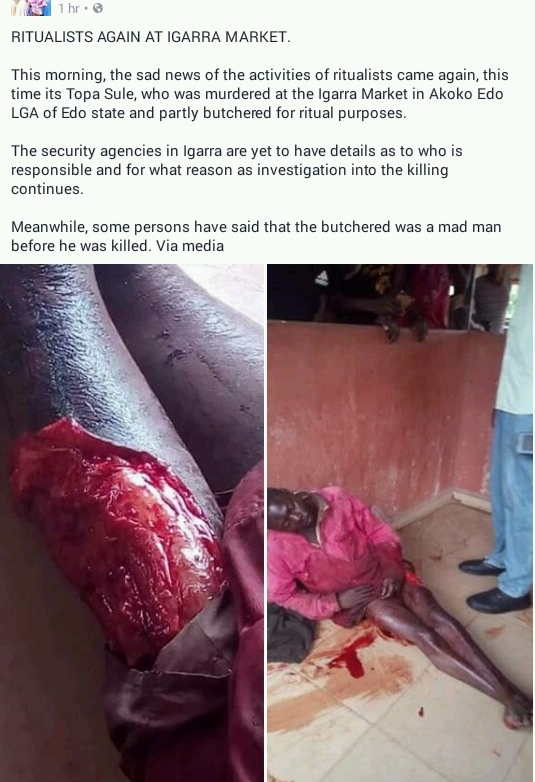 Some graphic photos have emerged online showing a man who was butchered for ritual purposes at the Igarra Market in Akoko Edo LGA of Edo state. RITUALISTS AGAIN AT IGARRA MARKET. 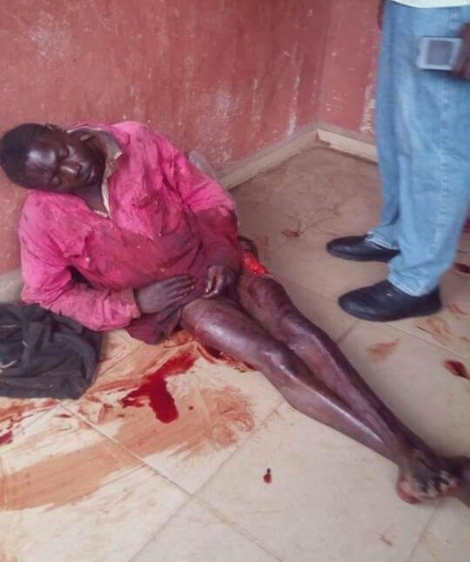 This morning, the sad news of the activities of ritualists came again, this time its Topa Sule, who was murdered at the Igarra Market in Akoko Edo LGA of Edo state and partly butchered for ritual purposes. The security agencies in Igarra are yet to have details as to who is responsible and for what reason as investigation into the killing continues. Meanwhile, some persons have said that the butchered was a mad man before he was killed.